Premium hand harvested Manuka Honey is rich in antioxidants and the antibacterial agent, MGO (methylglyoxal) for which Manuka Honey is famous. Manuka Honey is mostly known as a product of New Zealand, however, Australia has its own native variety of manuka plant from the same family: Leptospermum Polygalifolium. Our farmers cultivate Australian Manuka plants (locally known as 'jelly bush') so we can enjoy locally produced Manuka Honey. When you buy Natural Life™ Manuka Honey, you're buying a premium Australian Made product with the quality and purity you expect from our premium natural health brand. The active antibacterial strength of all Manuka Honey is based on levels of MGO (methylglyoxal) per kilogram. 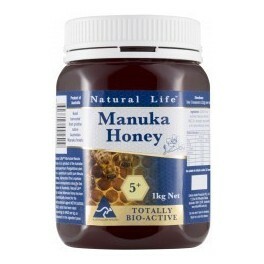 Natural Life™ Manuka Honey 5+ is scientifically tested for MGO (methylglyoxal) with a content of 30gm per kilo. This is equivalent to active 5+ in common ranking methods. 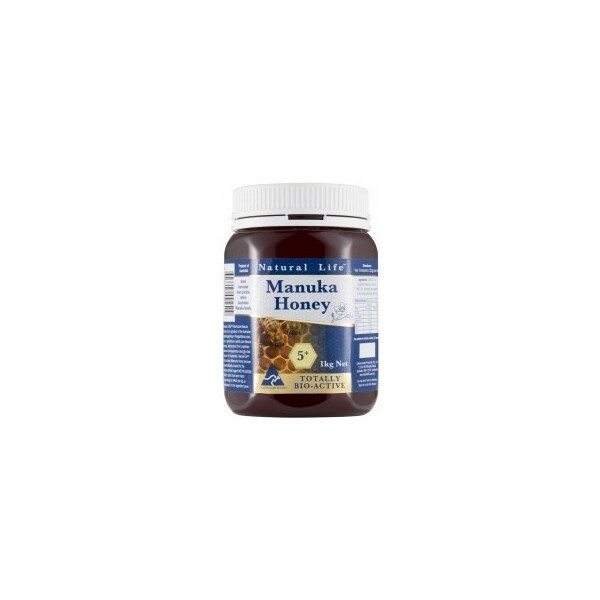 Natural Life™ Manuka Honey 5+ is a mild tasting, delicious honey that can be consumed daily to support digestive health and general wellbeing. It can be used in place of your everyday honey or as an elixir specifically for health. Spread on toast, drizzle over cereals, add to salads, stir-fries, shakes, smoothies and sauces! Sourced from the leptospermum polygalifolium plant, native to Australia & Lord Howe Island.